Give some time, please. Instead of finding some way faster and try, read this guide. These are normal problems to the high load users. Of course these gives huge pain, but investing an hour in cool head is better than searching the whole earth. If our methods fail, first ask on Apple Community pointing to this guide. Thereafter still you can not solve, it demands checking by an expert. Here is how to solve Safari running slow on MacOS X for no real big hardware issue. Our experience telling that becoming slower commonly related to DNS and cache issues. Commonly when internet connection appears slow we blame the ISP. But these days, all over the earth with strong WiFi connection, one user and famous/infamous China company made LTE modems, normally the hardware part except becoming hot should not give trouble. You can wait to cool down if that China gadget is hot, use USB to initiate a fresh connection. Next, check the speed of opening websites via Google Chrome. If most of the websites open nicely on Google Chrome but Safari becomes sluggish to fail to open, it can be an issue of Safari or fault at some part of the whole operating system which includes DNS settings. If you use Apple Mail, check whether it can send and receive emails. If point (1) is true but point (2) is false then it is about Safari. If point (1) is true and point (2) is towards true then it may not be only Safari but fault at some part of the whole operating system which includes DNS settings. Regarding DNS settings (System Preferences > Network > Active connection > Advanced > DNS), default is all empty while the active internet connection is off. That forces to use DNS of ISP. Technically that should be used for various reasons. But sometime we need to use Google’s DNS, they are Public DNS and may become dangerous for tracing your whereabouts by Governments to Hackers unless you use some paid solution. 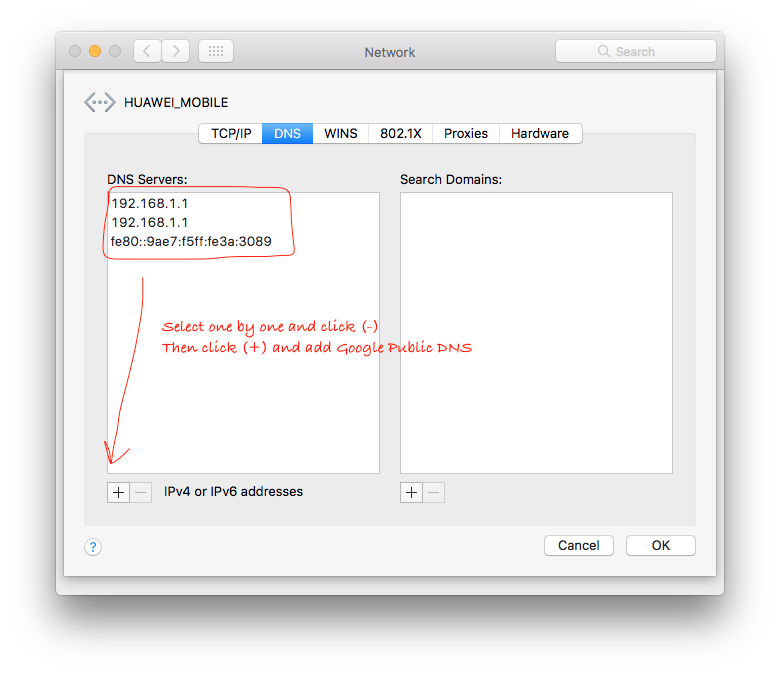 Basically some Apple application possibly needs faster ping time which includes Safari. Changing DNS can solve the problem. Of course your should try to restart all the hardwares once or twice. If you were using Google DNS – do the reverse to restore ISP’s DNS. You will see that there is a file named Cache.db. Click hold that `Cache.db to put inside Trash. Now start Safari. Technically this combination should solve any issue related to Cache, Cookies. Go to System Preferences and click on Mission Control, in the drop-down next to Dashboard, select the Off checkmark. You can try this on newer models too. This sometimes give astonishing result. Most of the time good for nothing. If Google Chrome opening but Safari almost failing, that basically may be first symptom of many things and really needs checking by the Apple guys from where you purchased the Mac. There is nothing wrong to create another account on that Mac and test. Actually we use Safari as logged in user. A new account can show up difference of speed. A full reset of Safari will fully restore to original settings but often impractical than trying with a new account on that Mac. Also, clear things like lot of stuffs on Desktop, check which process is spiking etc. This Article Has Been Shared 815 Times! Readers Report Us Of packet_write_wait: Connection to port 22: Broken pipe. Here Is How To Fix Write Failed Broken Pipe On Mac, GNU/Linux. Cite this article as: Abhishek Ghosh, "Solve : Safari Running Slow on MacOS X," in The Customize Windows, September 5, 2017, April 21, 2019, https://thecustomizewindows.com/2017/09/solve-safari-running-slow-macos-x/.